Capturing detail 125 times greater than in full HD resolution, the 2U250MRXS CMOS sensor from Canon offers remarkably high 250 MP resolution to uncover more detail than ever before. This innovative, APS-H format sensor leverages a square pixel arrangement of 1.5µm x 1.5µm pixels, achieving ultra-high resolution in a compact design for use in a wide range of applications. Discover new possibilities in unparalleled resolutions with the 2U250MRXS CMOS Sensor from Canon. 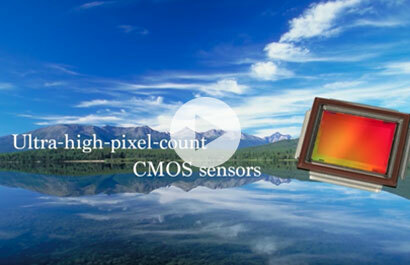 This CMOS Sensor product is not available yet. Please speak with a product specialist for more information. The Canon 2U250MRXS CMOS sensor minimizes noise without sacrificing speed by sharing floating diffusion capacitance between multiple pixels, resulting in shrunken readout circuitry and larger photodiode sizes. Progressive reading of small 1.5µm pixels occurs across 16 digital output channels to handle the enormous amount of image data created by roughly 250 million effective pixels. At full resolution, the 2U250MRXS CMOS sensor achieves a fast frame rate of 5 FPS. With single Region of Interest (ROI) windowing, faster frame rates can be achieved through reduced resolution, creating flexibility in performance.